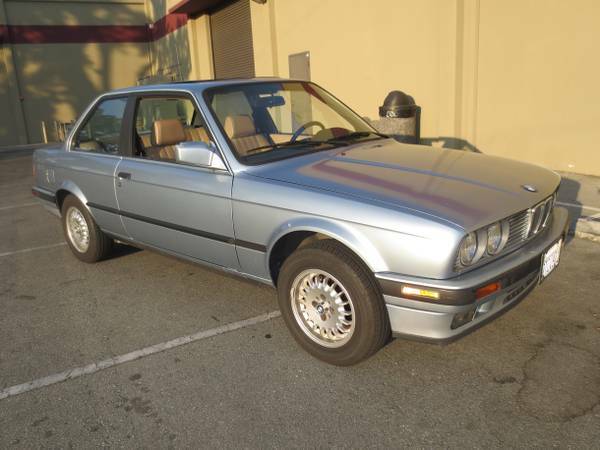 The E30 generation yuppie mobile solidified BMW's reputation for building clean looking, relatively quick, manual transmission equipped sport sedans. We prefer the plastic bumper post 1990 look but it is getting hard to find an original clean example. 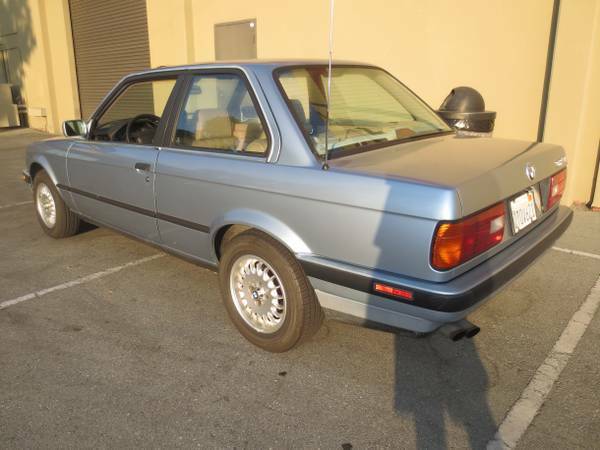 Most E30s have been neglected (bad), crashed (worse) or stanced out (worst) and it is refreshing to find one for a decent price that simply needs a new owner. 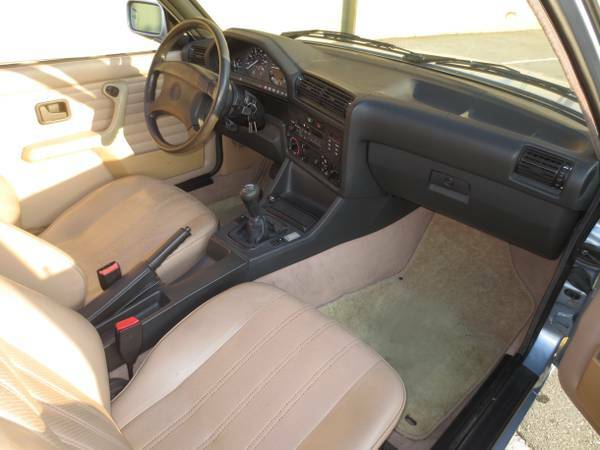 Find this 1990 BMW 325i 2-door 5-spd for sale in Redwood Shores, CA for $4990 via craigslist. Tip from Kaibeezy. 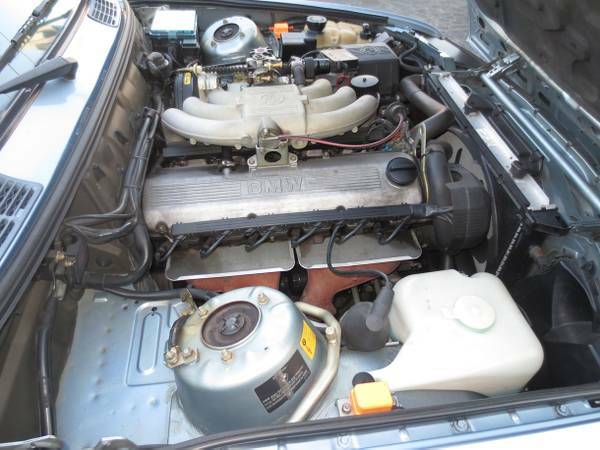 The seller claims that this E30 is covered in its original coat of Glacier Blue Metallic paint, always a plus for modern classics, as an original paint job (when cared for properly) will outlast anything a normal body shop will apply to a car. Even the best paint shops don't have the technological capabilities and know-how of an OEM like BMW and 99% of the time factory paint is our preference. The engine under the hood is a M20B25 "small six" that puts out 168 horsepower and is mated to a 5-speed manual transmission. No word on which rear end is equipped in this E30, but many came with limited slip diff in the back. Inside the cockpit won't impress your friends who lease the latest offerings from Hondayotord Motors, but the minimilism will be appreciated the first time a sensor/light/gauge fails and you can fix it in an afternoon. BMWs of this era get a bad reputation for quality/reliability but that is only from people who pay others to fix every little issue. A little DIY goes a long way in an E30.